EghtesadOnline: German authorities have started investigating an Iranian government plan to fly out hundreds of millions of euros from Hamburg to Tehran. If approved, the move is certain to provoke a strong reaction from the US, Germany’s public international broadcaster Deutsche Welle reported on Tuesday. 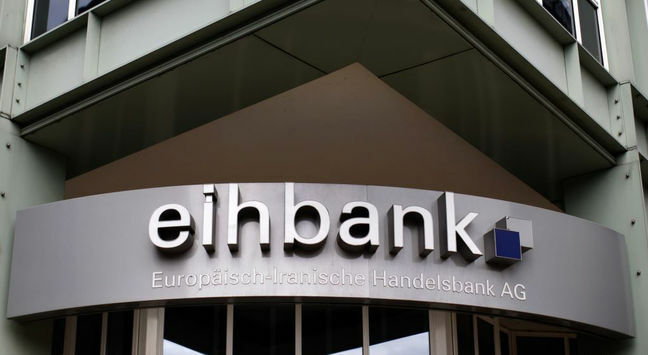 The €300 million ($350 million) in question is being held by the European-Iranian Trade Bank (Europaeisch-Iranische Handelsbank AG or EIH Bank), which is owned by the Iranian state, but registered in Hamburg with the German central bank, Bundesbank. According to a report by Germany’s Bild newspaper, Iran wants to fly the money out as soon as possible to avoid the potential freezing of accounts as a result of reimposed US sanctions coming into effect in August, Financial Tribune reported. If the operation goes ahead, it is likely to trigger a strong response from Washington. US Ambassador to Germany Richard Grenell already told the newspaper that the government of US President Donald Trump was “very concerned” and called on Berlin “to intervene and stop the plan”. Bild reported that the money to be flown out would be passed on to Iranians lacking a valid credit card to use while traveling abroad and in need of cash. The German Foreign Ministry said the current probe would aim to determine whether the arrangement would be an infringement of existing sanctions. But for them to intervene, there would have to be concrete evidence of illegal activity.